Every year, people come from around the world to attend the International Quilt Market and promote their craft through hands-on and visual demonstrations. I’m sure many of you kept up with American Quilt Retailer’s journey to Portland for the Spring International Quilt Market—but if you didn’t, here is what you missed. American Quilt Retailer Editor Heidi Kaisand was tasked by her son to bring food back from each state, and although the feat wasn’t easy, you can bet Heidi went above and beyond. 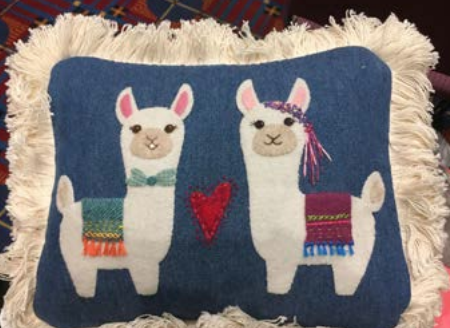 Llamas continue to be a hit, as seen by the abundance of craft displays at market. Another craft tip included putting wool applique in picture frames if you don’t have enough time for a quilt. Other trends included batiks (yay!) and tertiary colors, otherwise known as colors hyphenated on the wheel, such as red-orange, yellow-green, and red-violet. People got creative with certain themes, like wanderlust, through travel-inspired crafts, as well as mythology which turned out to be too cute for kids. Another trend moving into the craft world is farmhouse living through home decor. 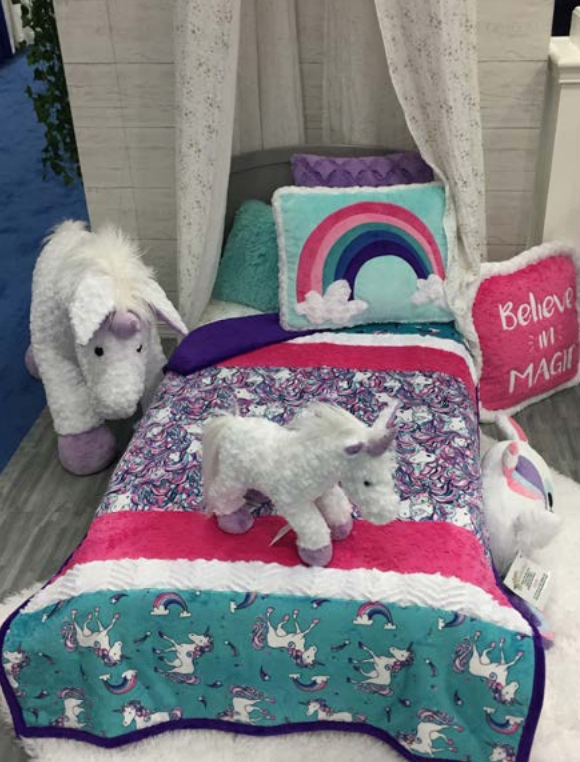 As always, quilt market provides an opportunity to meet with industry celebrities (through events hosted by companies like Moda) and provide a laid back atmosphere to find out what they’re up to. These conversations allow you to hear their stories, how they started, and what products they like. Check out more from market through AQR’s social media posts using the hashtag #8statesin8days, or download the free digital copy of the more sights and sounds.